When Gov. 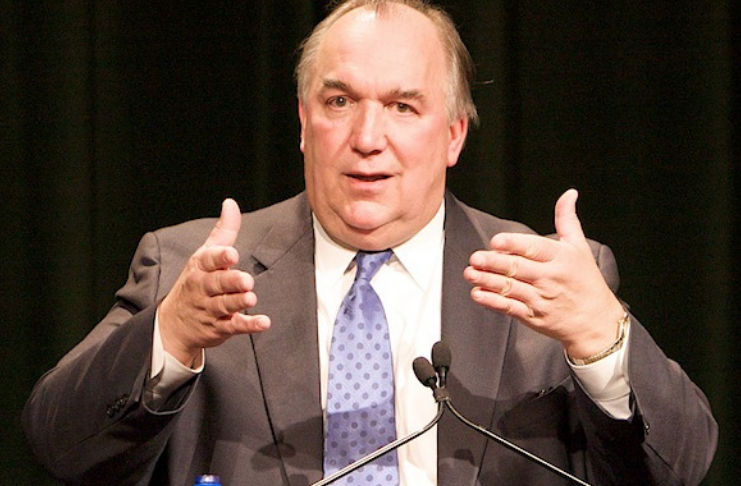 John Engler offered his first tax cut proposal to the Michigan Legislature on this day in 1991 — which chopped $4.2 billion over three years — one prominent House Democrat called out the conservative Republican. The property tax cut proposal was delivered formally by state Treasurer Doug Roberts to the House Taxation Committee. The plan would cut 20 percent of the school operating portion of property taxes and make up the loss to school districts with other state money to be identified later. A typical family with a $35,000 income and living in a $70,000 home would save about $30 in 1991, compared with $1,020 in savings for a family earning $150,000 in income and living in a $600,000 home, according to a committee staff analysis. Engler, who had been elected in 1990 after defeating two-term incumbent Democratic Gov. Jim Blanchard by a mere 17,600 votes, later called the proposal a “job creation tax” in his Feb. 11 State of the State message. The Mt. Pleasant Republican and former longtime Senate majority leader would follow up in March 1991 with his first state budget proposal. Ultimately, it would slash checks to welfare recipients by 17 percent; reduce aid to foster parents by 22 percent; and cut payments to doctors and other health care providers participating in the Medicaid program cut by 18 percent. However, House Speaker Lew Dodak (D-Birch Run) and his caucus blocked the Engler property tax proposal. Petitioners then gathered some 224,000 signatures to place an across-the-board property tax on the ballot in 1991. But the state Board of Canvassers deadlocked in a 2-2 tie and the initiative failed to make the ballot. The early 1991 effort was a rare win for legislative Democrats during Engler’s 1991-2002 tenure as governor. He signed into law 31 tax cuts during that period, according to the free-market, Midland-based Mackinac Center for Public Policy. Engler has been in the news this month for resigning as interim Michigan State University president over his dealings with sexual abuse survivors of former MSU Dr. Larry Nassar. The Republican blamed Democrats on the board for forcing him out.